I have two great announcements to make. 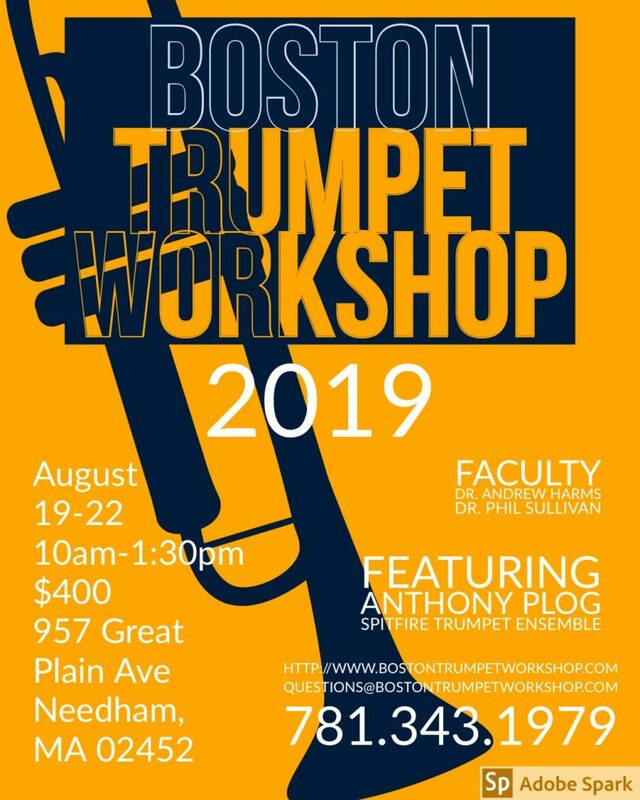 First, my colleague Phil Sullivan and I are throwing a trumpet bash at the end of the summer, the Boston Trumpet Workshop. We are so excited about this. We will be talking about warming up, rehearsing, plus a special performance by the Spitfire Trumpet Ensemble and a guest coaching session by world-renowned trumpet teacher/composer/performer Anthony Plog. We have 12 slots total and only a few left, so do please act soon. Second, I am pleased to tell you that I have joined the faculty at Blue Lake Fine Arts Camp. Serving about 1700 students per summer, this is a thriving organization with which I go way back to 2005 when I was a counselor! Emphasis is on music, and students come in for two-week intervals and can participate in jazz ensembles, bands, orchestras, etc. There are so many playing opportunities here that there is something for everyone at all levels. Two particularly exciting programs are the Masterworks Orchestra, comprised of some of the most advanced young musicians in the country, and the International groups, which tour different parts of the world each summer.